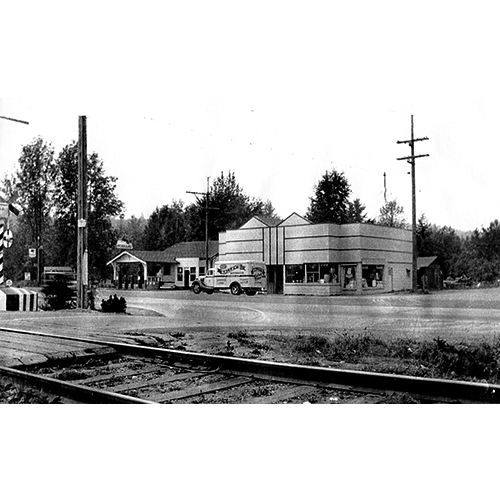 The intersection of Bothell Way and 68th Avenue NE appears serene in the early 1940s with its single stoplight. The community's first grocery store, on the northwest corner of the intersection, was built by James and Sarah Mitchell in 1919. Next door, Ed and Eliza Mahler opened Kenmore's first gas station, a Mobil outlet, in 1920.